What worked and what *definitely* didn't. 1. 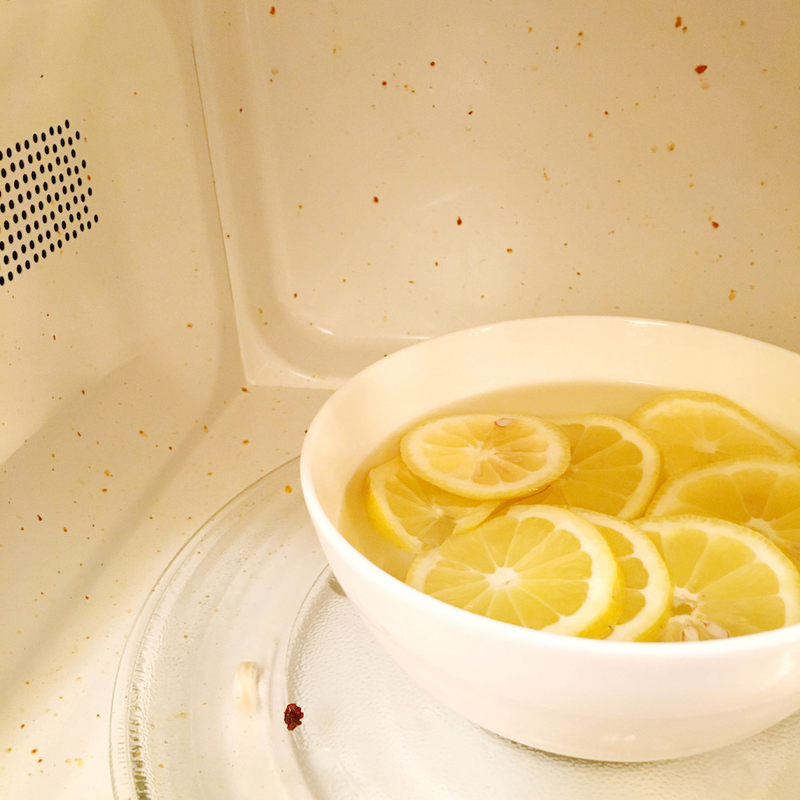 HACK #1: For an easy, scrub-free way to clean your microwave, heat a bowl with water + lemons + vinegar. 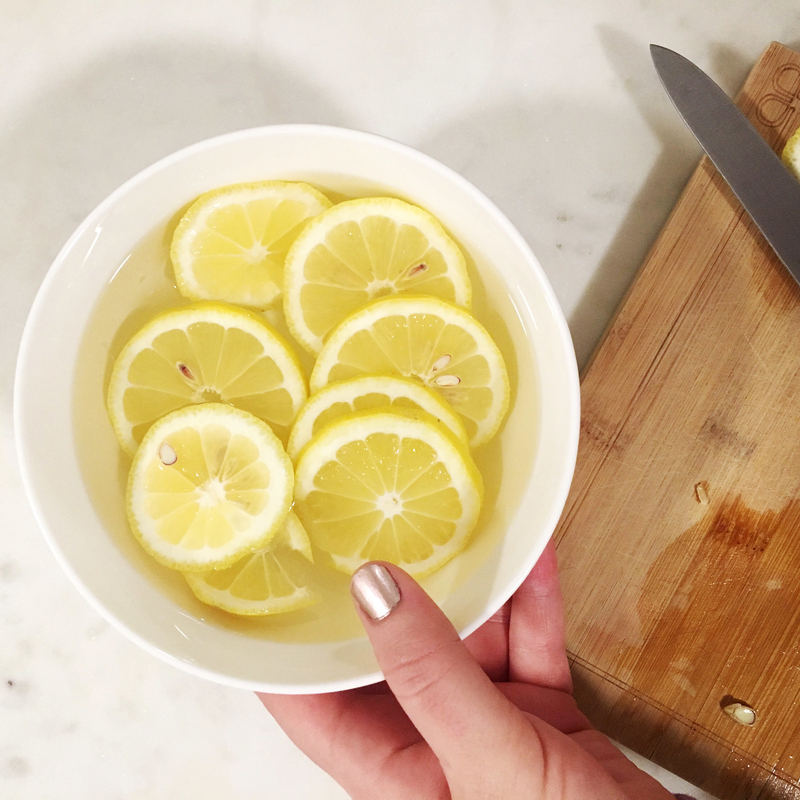 THE IDEA: Fill a microwave-safe bowl up with water, add a large glug of vinegar, and slice up a lemon. 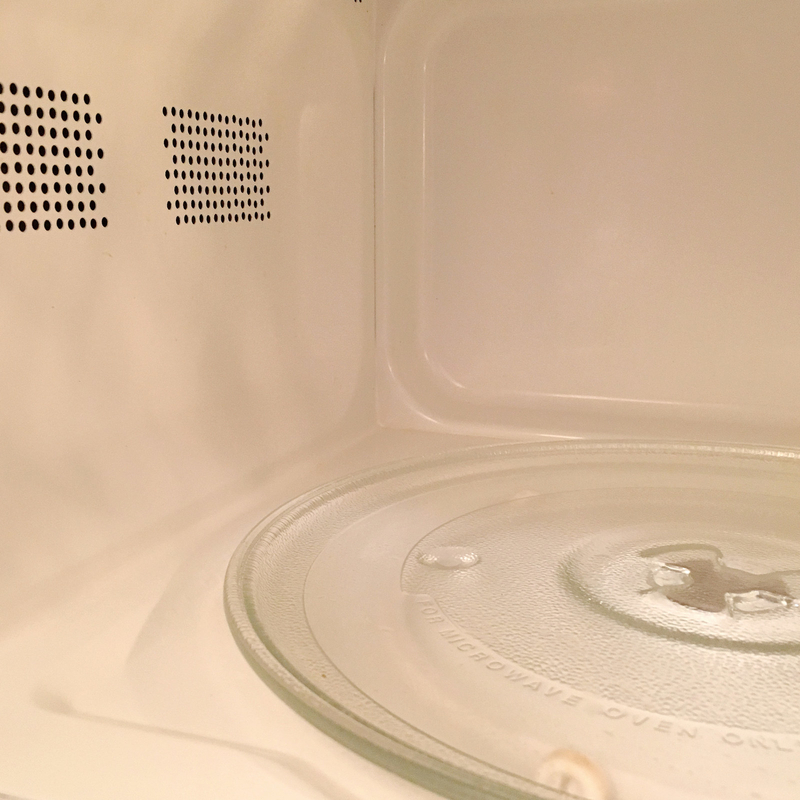 Microwave that on high for 5 minutes, then leave the microwave door closed for 5 more minutes so everything can steam. Then, wipe clean with a dry paper towel. DID IT WORK? Perfectly. I want everything in my life to work as well as this hack. It even smelled good, despite the vinegar. THE RESULTS: I've eaten a lot of chili and spaghetti the past two weeks, so dried, cooked-on splatters coated the inside of the microwave. 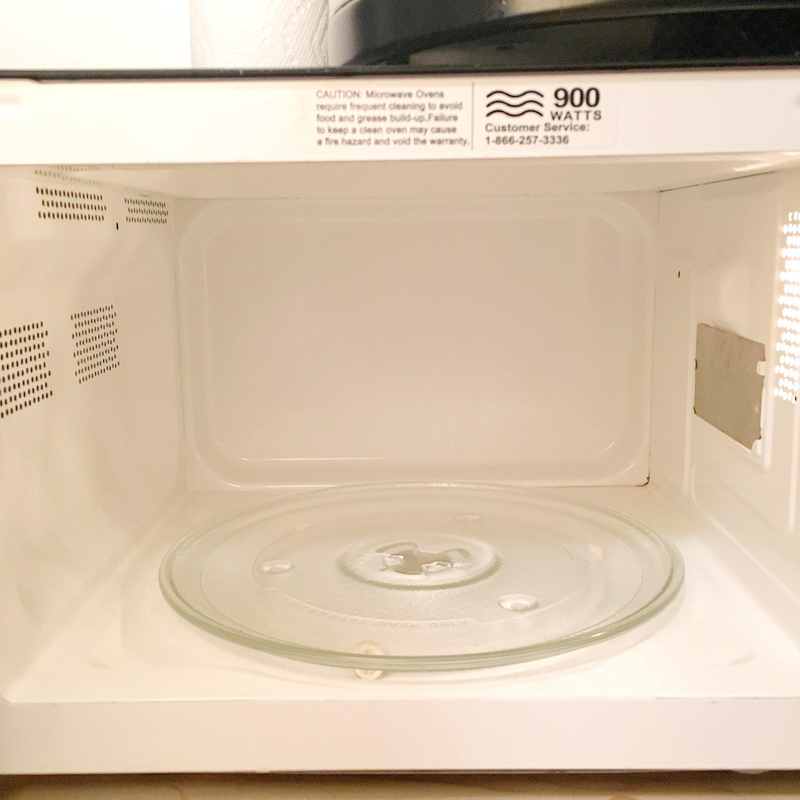 I used a single paper towel on this mess — half of it, I dampened slightly in the vinegar-lemon liquid and just wiped, once, over the whole inside of my microwave. That was all it took to get the grime out. The other half I used to dry everything. Done and done. 2. 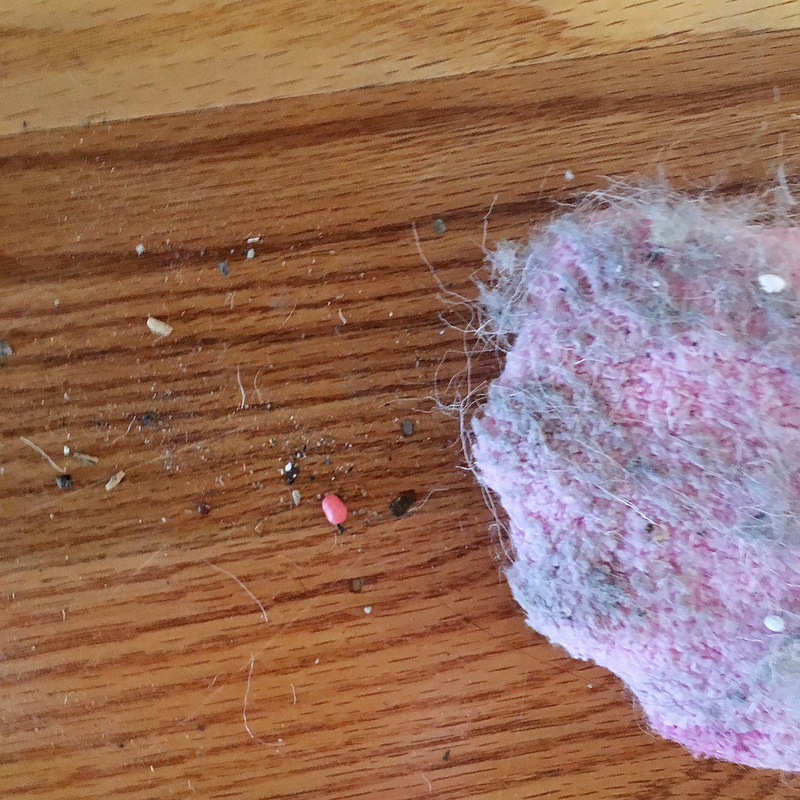 HACK #2: Cheap, fuzzy socks can double as reusable, washable Swiffer sheets. THE IDEA: Instead of normal Swiffer duster or Swiffer dry sweeper refills, just use those fuzzy socks you got from your Secret Santa. DID IT WORK? Sorta. It worked perfectly with light dirt, but couldn't pick up some of the heavier bits. THE RESULTS: The microfiber socks and the Swiffer dry sweeper picked up dust, hair, and fuzz equally well. 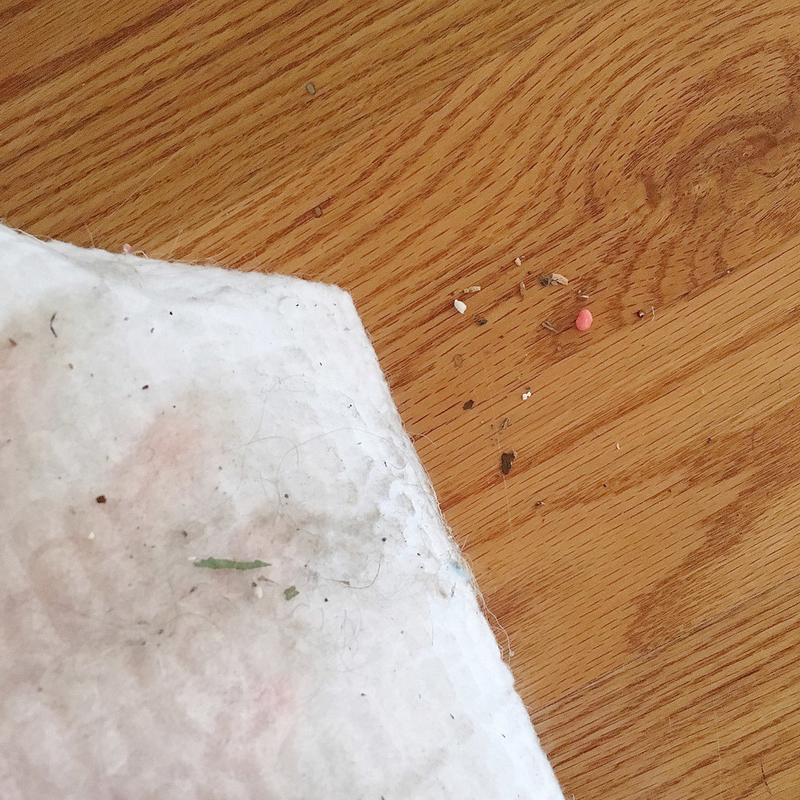 But when it came to bigger particles of dirt (like crumbs or an old Nerd candy from Halloween, don't judge me), the sock didn't pick up as much as as the dry sweeper. 3. 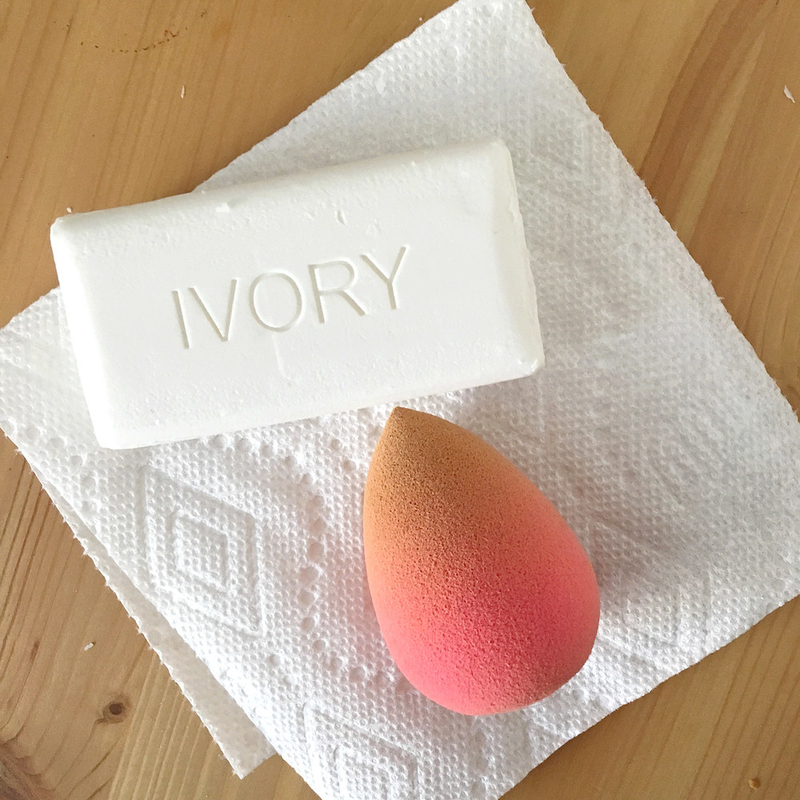 HACK #3: Clean a Beauty Blender with cheap bar soap instead of fancy cleansers. THE IDEA: All you need to do to clean a Beauty Blender or other makeup sponge is buy cheap bar soap. The Beautyblender solid cleanser is a hefty $16, but you can find often find bar soap for $1 or less — and it's supposed to work just as well. THE RESULTS: At first, lots of makeup was coming off the sponge, and I got very excited. But after about several minutes of rubbing on the soap + rinsing the sponge a little, the foam turned white — which meant makeup wasn’t coming off anymore. Ten minutes into the process, the tip of my sponge broke while I scrubbed, but this one is about 6 months old, which is ancient in Beautyblender years. At least I know the inside is clean, I guess? And maybe I'll try to clean my next sponge like this every other day or so, which might make it easier to avoid permanent discoloration. 4. 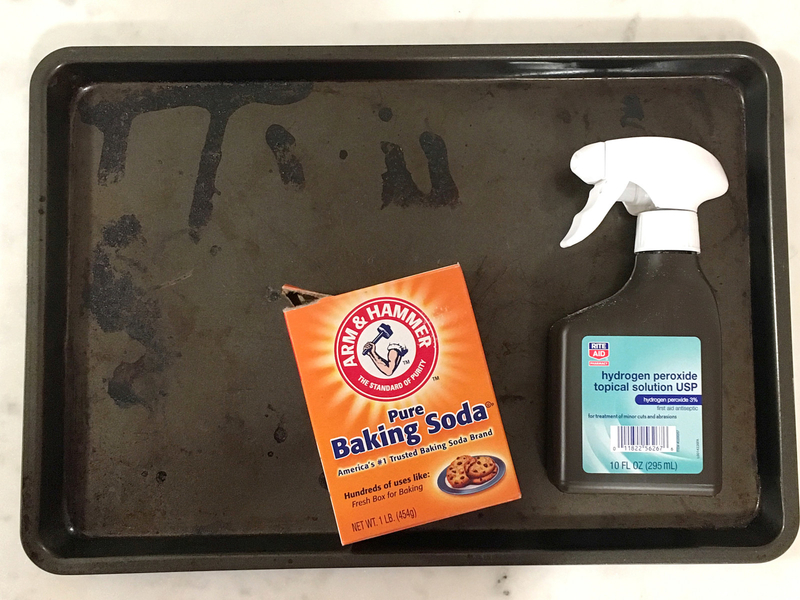 HACK #4: Hydrogen peroxide and baking soda banishes baked-on crud from your favorite cookie sheets. 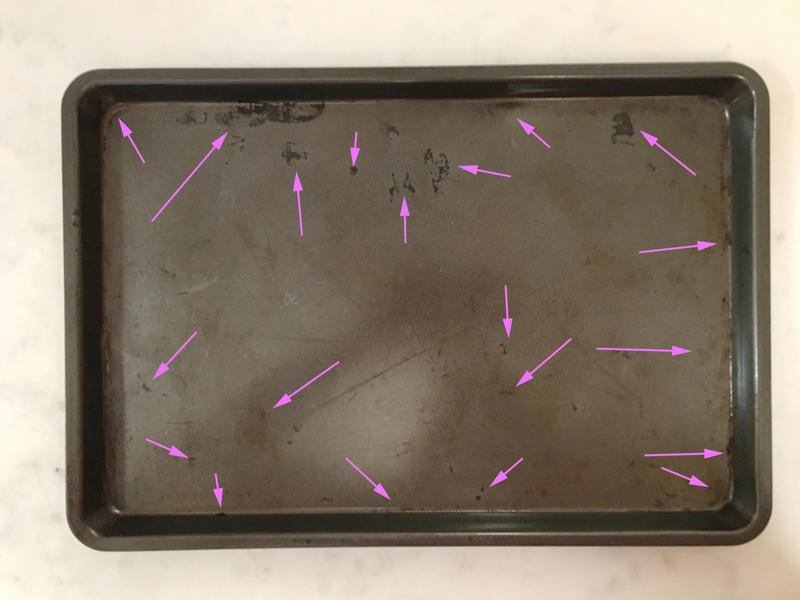 THE IDEA: Layering baking soda, liberal sprays of hydrogen peroxide, and more baking soda, letting it sit, then scrubbing aggressively = like-new cookie sheets, even if they've had baked on crud for years. DID IT WORK? Not well enough to be worth the effort — there were still plenty of stubborn baked-on spots. THE RESULTS: Sure, this trick did make a big difference, but it didn't make my cookie sheet look new and it required so much elbow grease that I just don't think it's worth the work. 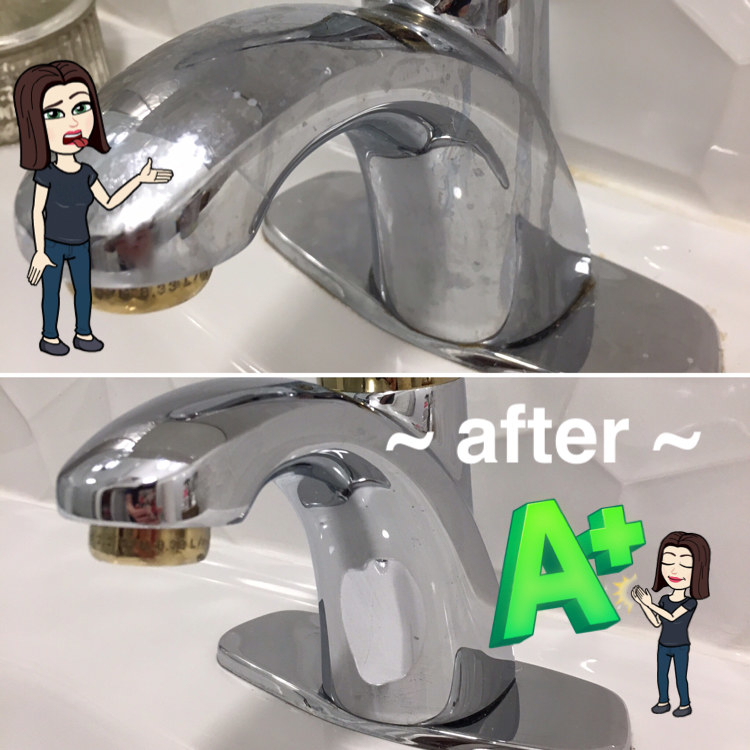 I don't mind a little scrubbing, especially if it's in the name of ~deep cleaning~, but the 45 minutes I spent for this result was not worth it. There's got to be a better trick out there somewhere. 5. HACK #5: Alcohol + vinegar + water can double as a ~DIY~ Windex — and can shine up windows, mirrors, and glass. THE IDEA: Mix equal parts alcohol, water, and vinegar in a spray bottle, then use that as a spot- and streak-free glass cleaner. DID IT WORK? Exactly as well as Windex — very well in almost all situations, except the grimiest. THE RESULTS: This is definitely my new go-to glass cleaner recipe. On the surfaces that were a little dirty but didn't have much built-up residue (for example, my mirror and bathroom faucet), this formula worked like a charm. Even the glass door next to the sink, which was coated with toothpaste splatters, dust, and some fingerprints, sparkled after I sprayed and wiped down each side just once. This stuff stinks when you use it, there's no way around that, but it also beats bad smells better than any cleaner I've tried. An hour after using it, I stepped into the bathroom and was struck by how much it smelled like...nothing. The lingering mildew smell had vanished, but it also didn't smell like cleaning products. After a shower, I enjoyed how the steam smelled like my favorite soaps, instead of like a shower cleaner. 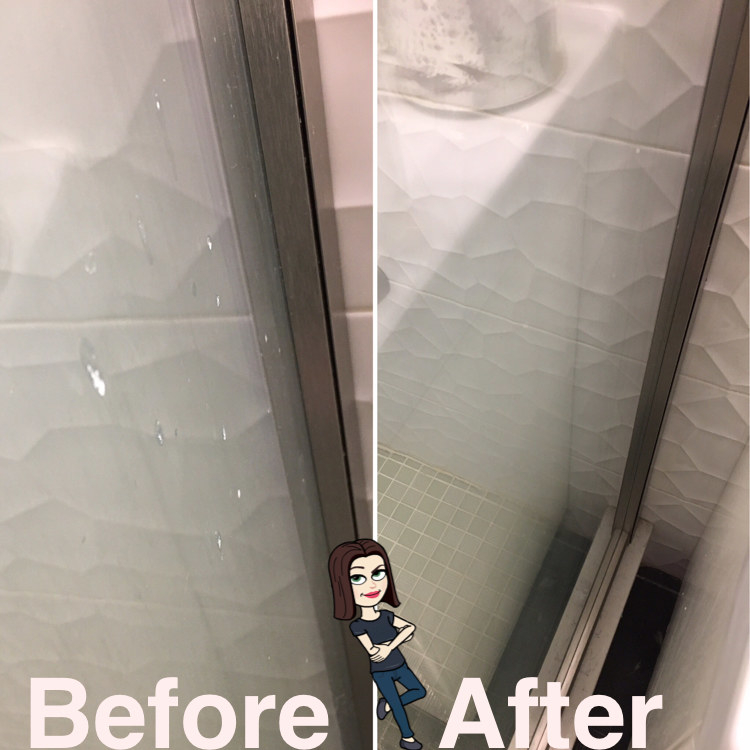 A few hours later, I did notice spots on the surfaces that had more gunk on them when I started cleaning: For example, the second glass shower door had lots of splatters of hair conditioner on the inside of it, so it took two tries to get everything perfect. This also didn't work on thin layer of calcium/hard water buildup at the bottom of the shower doors, probably because it didn't stay on the surface long enough. 6. HACK #6: Toilet bowl bleach gel can double as a grout cleaner. 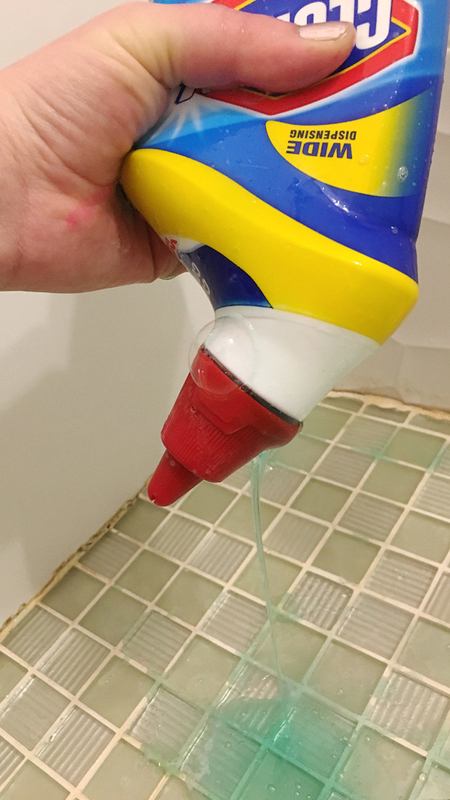 THE IDEA: Instead of speciality grout cleaner or relatively pricey gel bleach pens, just use gel toilet bowl cleaner — you can control where the gel goes using the specialty spout, and the gel stays in place while it bleaches. DID IT WORK? UGH NO. THE RESULTS: The little sprayer on the Clorox bottle completely jammed (WTF), so I just ended up drizzling bleach gel all over the place, including my hands. The gel itself worked perfectly — it stayed in place and whitened the grout it touched — BUT the giant puddle of bleach smell was the literal WORST— despite my open window, bathroom fan, the bandana I wore, and my attempt to not stay in an enclosed space with it for too long. TBH? This hack is not worth the stink and the mess just for some clean grout. 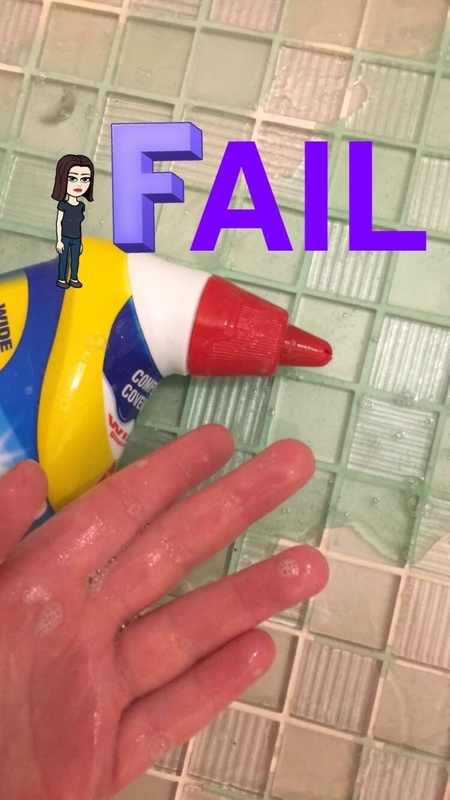 0/10, go buy yourself a grout cleaner. 7. HACK #7: Replace disposable dryer sheets with reusable sponges soaked in diluted fabric softener. THE IDEA: Dilute fabric softener with water (in either a 1:2 or 1:1 ratio), pour over dollar-store sponges, and store in an airtight container. When it's laundry time, grab a sponge, squeeze out any excess moisture, and add that to your dryer instead of a dryer sheet. THE RESULTS: After trying this out, my clothes were soft, un-static-y, and smelled clean and fresh. Even better, these sponges make a small amount of softener last a very long time. So if you're doing a lot of laundry (like for a family of four or more), this could help save you some serious bucks. But as a single person, I don't think I'll use these much at all. Because I have to go to a laundromat, it felt weird to squat at a dryer and squeeze out a goopy sponge. I worried that the owners might come up and interrogate me about it, and my hands were slimey and wet with no towel or sink in sight (I ended up wiping them on a big sweatshirt in that load). So for now, I'm personally going to stick with plain softener, dryer sheets, or whatever they want to use when I drop off for wash-and-fold service. 8. HACK #8: Make an all-purpose floor cleaner with just vinegar + baking soda + liquid dish soap + water. DID IT WORK? Surprisingly, it seemed to work fine. I was initially suspicious of this formula, because if there's too much dish soap in a formula and if you don't rinse it off, it can leave a sticky film that gets dirty really quickly. So after mopping both my wood floor and my tile floor and allowing it to dry, I was surprised that my floors just felt clean. Smell-wise, this stuff did help with the stench of plant fertilizer in our storage room. What wasn't neutralized in the vinegar and baking soda reaction probably helps with this; in the future, I will probably add a few drops of rosemary and lavender essential oils. 9. HACK #9: To deep clean and de-scale a shower head, secure a plastic bag filled with vinegar + a sprinkle of baking soda to it. THE IDEA: Fill a ziplock bag with vinegar, sprinkle in some baking soda, then secure that over your shower head or kitchen faucet with a rubber band, wait 1–2 hours, and remove for an unclogged, clean shower head. DID IT WORK? YES. Satisfyingly well. THE RESULTS: I love my apartment, but because our bathroom is basically a tiled closet with no windows, my shower mildews suuuper quickly, which you can see above. I could have just wiped the mildew off, but I suspect that the vinegar found its way a few centimeters up into the shower's little holes, so this helped tackle that, too. IMO, the final result was night and day, and to sum up? This worked perfectly. What’s the best (and/or worst) Pinterest cleaning trick you’ve ever tried? Have you tried any of these, and did they work for you? Let us know in the comments below.